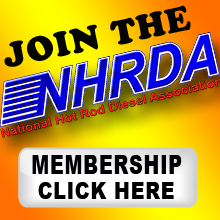 07 November 2017 Ennis, TX- The ARP Super Diesel class is one of the more exciting classes on the NHRDA Hot Shot's Secret Diesel Drag Racing Series. Racers in this class can range from rugged veterans to brand new rookie drivers. Another aspect that makes the class exciting is the fact that it is run on an 11.90 index, it's not always about who goes the quickest or fastest but about cutting a good light and dialing to run the 11.90 index. 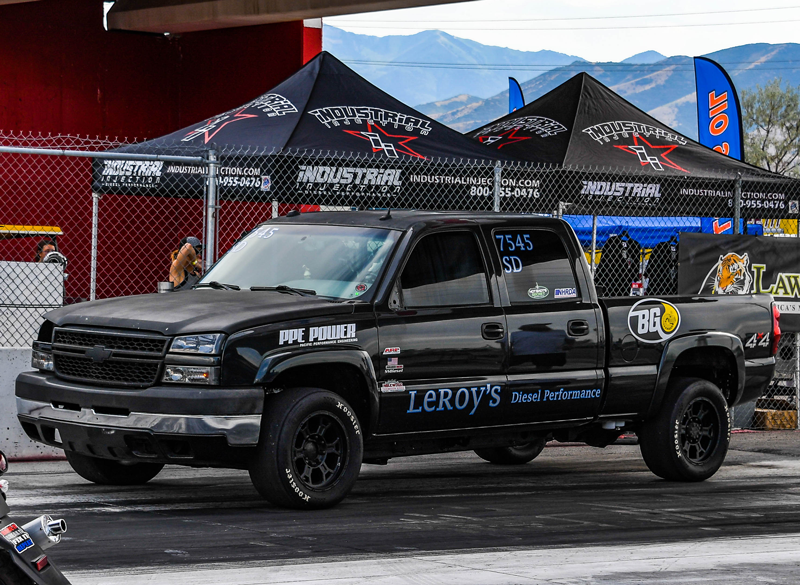 It was at the season opening, Desert Diesel Nationals presented by Strictly Diesel, where Morgan announced his presence to the ARP Super Diesel competitors. Morgan took out the 3 time defending World and National Champion, Verlon Southwick, in the quarter-finals. Morgan would then go on to face Amalee Mueller in the finals but would lose on a hole shot. But Morgan made it very clear that he was coming after the Hot Shot's Secret Diesel Drag Racing Series National Championship and he would be at the next event looking for a victory. 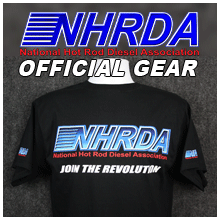 The next event happened to be the Nor Cal Diesel Nationals at Sacramento Raceway. Morgan and his crew made the drive up from sunny Arizona to cloudy and wet Sacramento. But Morgan didn't let a little rain dampen his racing. Morgan sliced thru the ARP Super Diesel field making it to the final round once again. Morgan got the starting line advantage over his opponent, Brian Howard, and never looked back as he won his first ever NHRDA Trophy. In the Winner's Circle, Nate talked to Diesel TV about not getting to face Southwick again in Sacramento due to Verlon's breakage, "�I was looking forward to round two with Verlon. I ran against him in Phoenix and he said 'I only get lucky once', I was looking forward to this one." Morgan left California with the trophy and the points lead. Morgan would skip the Texas Diesel Nationals but he didn't miss the Oklahoma Diesel Nationals at Tulsa Raceway. Morgan was able to get some revenge against Amalee Mueller as he defeated her in the second round. Morgan then navigated through the tough field of competitors to make it to his third final of the season. 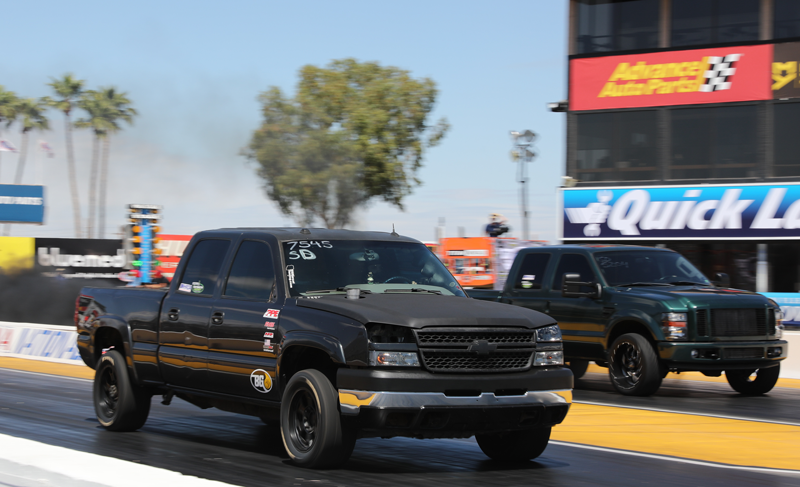 Morgan came up against Joshua Harris, who was on a hot streak of his own after going to the final round at the Texas Diesel Nationals. Harris had the better reaction time and Morgan couldn't make it up at the finish line. 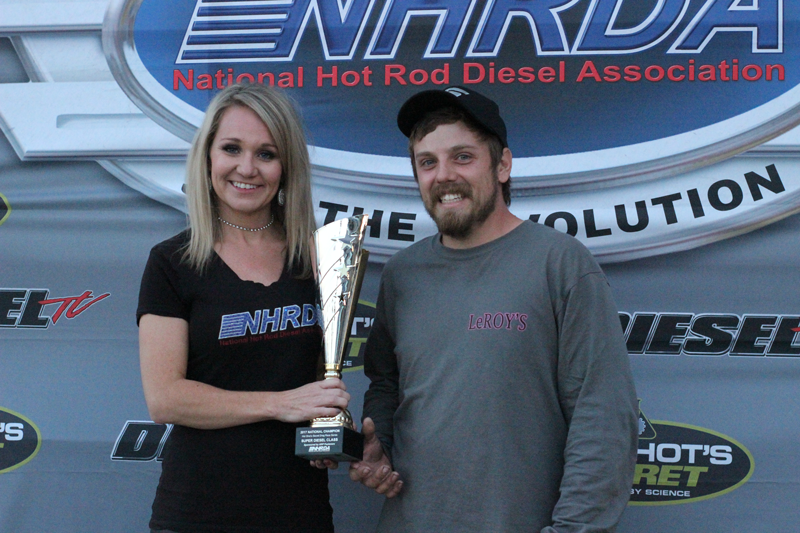 Morgan wouldn't get the trophy but he took a very commanding lead in the ARP Super Diesel National Championship standings. 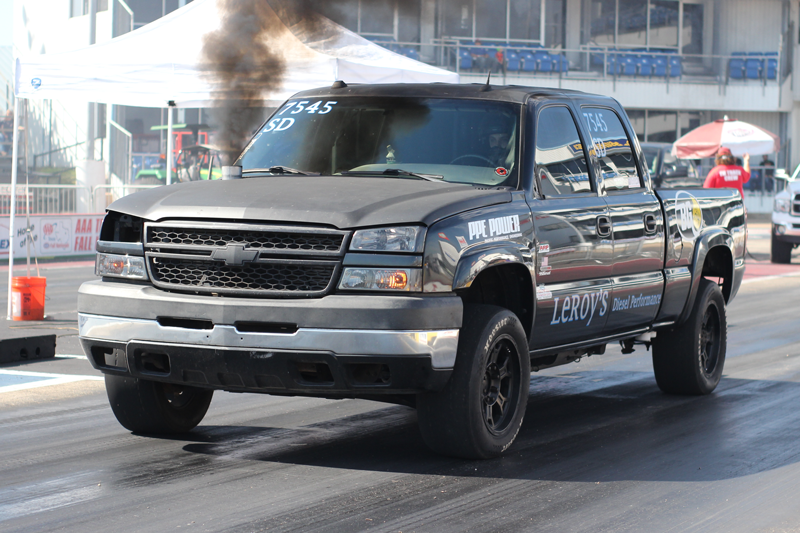 Morgan's next event was Diesels on the Mountain at Bandimere Speedway. Morgan was #1 Qualifier with an 11.906 ET and got 10 extra points. Morgan once again was set to face Verlon Southwick in eliminations but Verlon had more mechanical issues and was unable to make the call. Nate would lose in the third round to eventual runner-up, Devin Ratliff. Morgan though added more National Championship points and extended his lead at the top of the standings. The next few races didn't go as planned for Morgan and his team, a second round loss in St. Louis and first round losses in Salt Lake City and Billings. Morgan was able to keep adding points but he was starting to get a little nervous as Dan Zelten and Verlon Soutwick started picking up points and started closing the gap at the top. 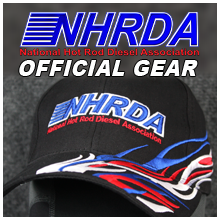 The NHRDA World Finals is always one of the toughest events on the NHRDA schedule, especially with it being a double points event. Coming into the event only Southwick and Zelten could possibly overtake Morgan for the National Championship. When Nate made it past the first round, the pressure was on both Southwick and Zelten. Southwick was the first to come up short, he lost to Joshua Harris in the first round, putting him out of the chase for the National Championship. Zelten was able to get past first round to keep his title hopes alive for another round of racing. 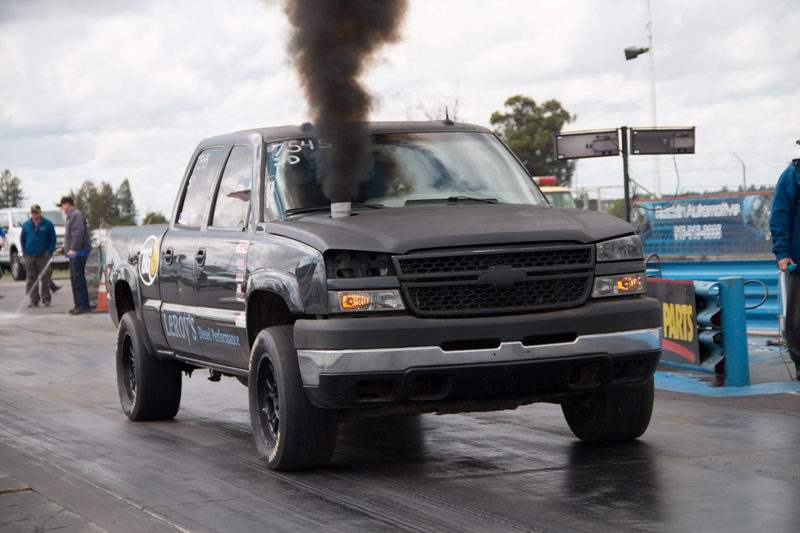 It all came down to the second round, if Morgan could defeat Jacob Middleton, then he would be crowned the 2017 Hot Shot's Secret Diesel Drag Racing Series ARP Super Diesel National Champion. Morgan had the better reaction time and he used that to get the round win and clinch the National Championship. Unfortunately, Morgan came up short in the next round and his hopes of winning the World Champions were dashed. But Morgan would still be taking the National Championship trophy back to Arizona with him and his family. When asked how does it feel to win his first ever NHRDA National Championship, Nate responded with, "It feels awesome, I have wanted to come out to the NHRDA races in Arizona for years and it just never worked out. 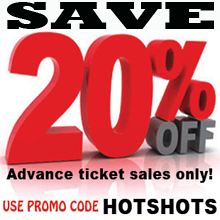 We opened the shop about 7 months prior to the Arizona race this year and we were dead set to make it happen." Nate told Diesel TV the hardest part about winning the National Championship, "Was maintaining the points lead and dealing with the mental battle going down the track and in staging. In the index classes you are constantly wondering. Am I going too fast? Is he in front of me? Am I in front of him? The first couple of races I felt I had nothing to lose being the rookie, and way under power compared to most of the other trucks in the class. So I just went out and had fun, but then I realized I had a real shot at winning the whole thing and that's when it got tough." Nate made sure to thank all his sponsors; Leroy's Diesel Performance, BG Products, Inglewood Transmissions, Westside Guns & Accessories, 1320 Industries and PPE. He also thanked his parents for supporting him and his wife, who is expecting their first child in February. 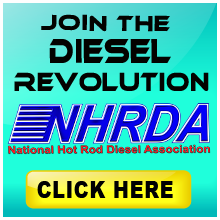 Nate is looking forward to the 2018 Hot Shot's Diesel Drag Racing Series and getting back out on track.